Lecture by Uranda, July 30, 1953 . . .
Synopsis: Why has the peace, security, well-being of heaven not been known in the earth? The kingdom of heaven is at hand; why, then, in this jet age, does an oxcart spirituality prevail? Whence comes the deep conviction that we could be more than we are? Are there new frontiers for the pioneering spirit? What is freedom? What is our relationship with Deity? What is our design for life? 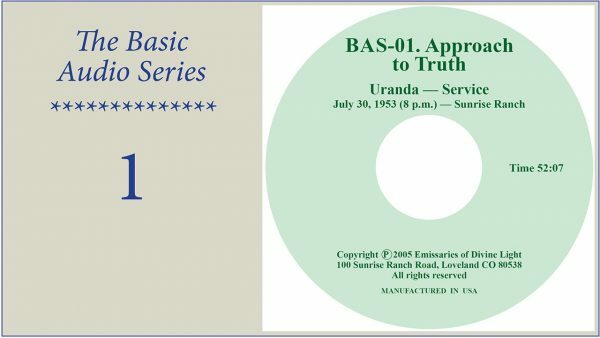 These and other fundamental questions are answered in this introductory talk with the authority of living truth.